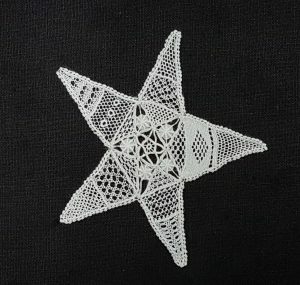 Kenmare Lace sampler in the shape of a star showing 18 different stitches. Dimensions, 7x7cm. 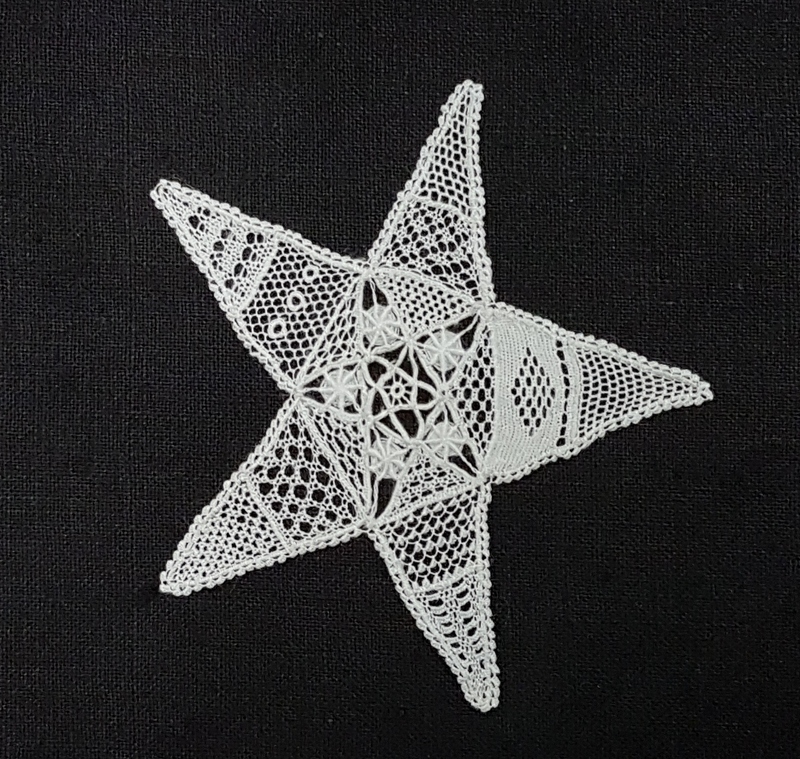 Designed by Rachel McLaren at the Kenmare lace and Design Centre. Unique, one piece only in stock. 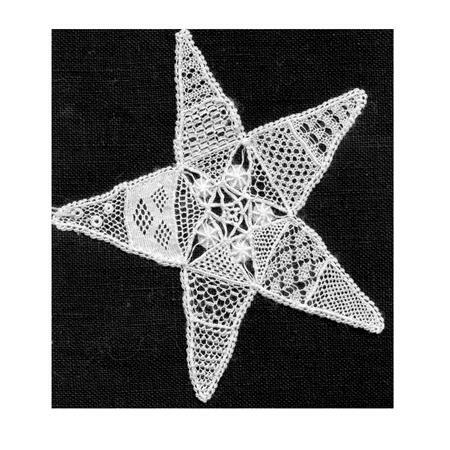 Kenmare Lace star sampler: Kenmare Lace sampler in the shape of a star showing 18 different stitches. Dimensions, 7x7cm. 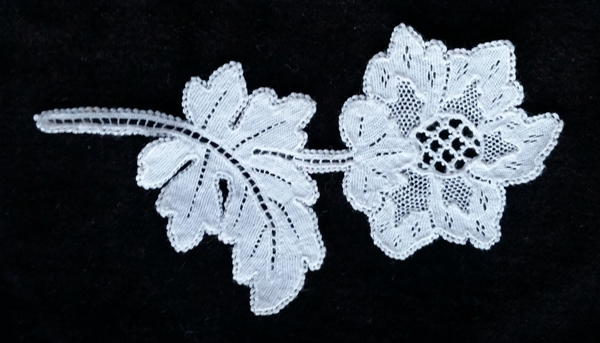 Designed by Rachel McLaren at the Kenmare lace and Design Centre. Unique, one piece only in stock.